I took my sweet time finishing this one, but that was because of distractions (like driving across the country), not any real problem with the book. 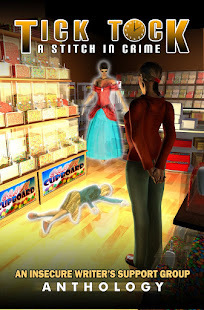 I did seem to be easily distracted in the first few chapters, but that's pretty normal for me. 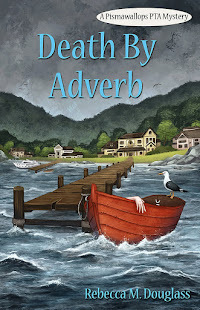 Edith--Edie--is a likeable and relatable heroine. I could certainly relate to the geeky misfit aspect of her character, though not to the over-protective parents problem (my parents were blessedly trusting and liberal, as were many in the 1960s and 70s before we all became paranoid). In a way, there are two issues being developed here: Edie's need to learn to accept herself so that she can make and have friends (and her need to discover that she's not really so very unique with her anxieties and failings), and her need to break out of the fear-limits that have been in part developed out of her mother's over-protective parenting. Honestly, someone should have shaken that woman a long time ago, but with luck it's not too late for Edie. Some of the things on Petunia's (the grandmother's) list might be bad ideas, and most lead to trouble, but the idea behind the list is a good one: push your limits and find out who you are, or make yourself who you want to be. Of course, that's easier said than done, and doesn't Edie know it! In a different sort of way, this is a coming-of-age novel that has something for everyone, as we watch Edie discover herself and learn what makes a real friendship. Ages 9 or so and up (the issues Edie faces are somewhat particular to middle school, but the friendship-insecurities start much younger for many). This is required reading for any geek who is scared of the outdoors, and anyone who thinks that she is the only not-cool kid around. It might also be required reading for any parent who is afraid to let their 7th-grader go to the store by herself. 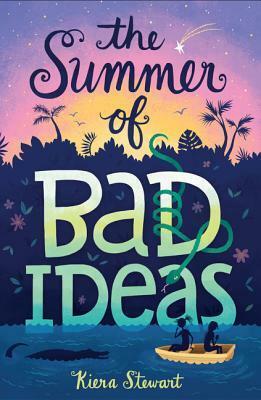 Full Disclosure: I borrowed an electronic copy of The Summer of Bad Ideas from my library, and received nothing from the author or the publisher in exchange for my honest review. The opinions expressed are my own and those of no one else. I am disclosing this in accordance with the Federal Trade Commission's 16 CFR, Part 255: "Guides Concerning the Use of Endorsements and Testimonials in Advertising." Sounds like a great story. I needed to push my limits sometime even now. Thanks for sharing. Yeah, don't we all? I think sometimes I did better at giving my kids room to spread their wings than I do for myself.